Science Works to Save the White Rhino « Adafruit Industries – Makers, hackers, artists, designers and engineers! Immediately after the world’s last male northern white rhino died on March 19th, a team of vets got to work. Within 30 minutes, they had collected tissue from the ears, gums, spleen, windpipes, and testicles of the 45-year-old rhino, named Sudan. 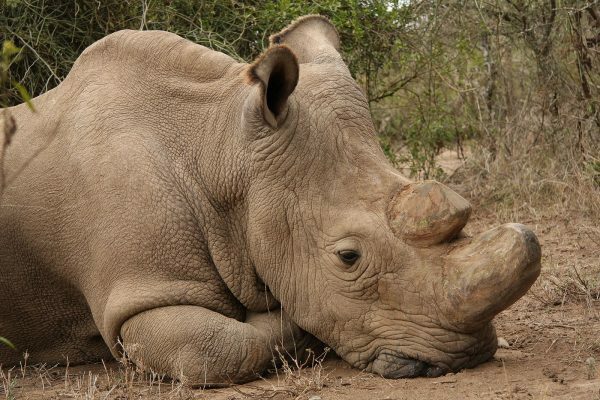 The precious genetic material was put in a solution and then frozen at the Ol Pejeta Conservancy in Kenya, where Sudan spent the last nine years of his life. Those cells could one day bring the northern white rhino back from the brink of extinction. 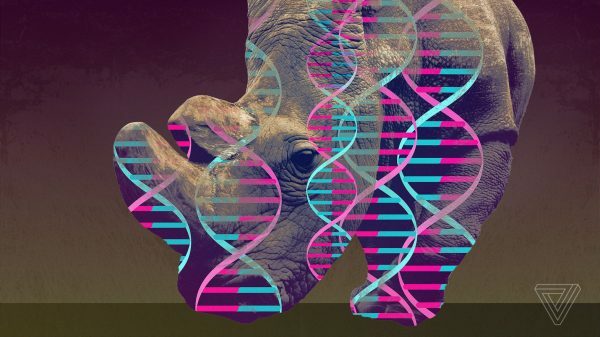 Dozens of scientists across the globe — from the US to Europe to Africa — are working together tirelessly to figure out ways to breed rhino embryos in the lab. The effort resembles in some ways the popular de-extinction projects that are attempting to resurrect the woolly mammoth or the passenger pigeon; all want to reverse extinction and in some cases, fix the damage humans have done. The odds of success for the rhino are much higher: Unlike species that have been extinct for decades (or thousands of years! 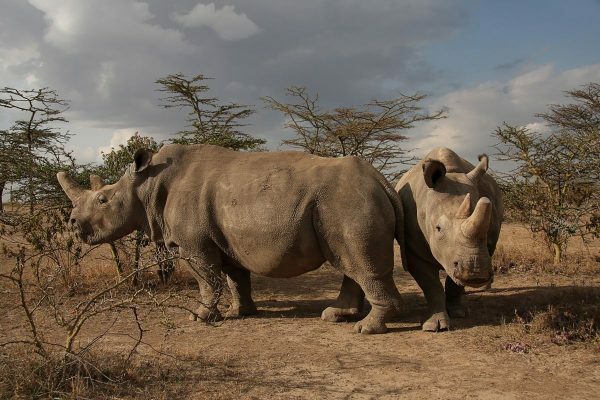 ), northern white rhino DNA and sperm are preserved safely in different labs around the world. If it works, the project could bring back herds of northern whites that used to roam the grasslands of east and central Africa, where they were poached for their horns. De-extinction has been a sci-fi trope for decades — but now the science may have finally caught up to our imagination. Today, projects like the Woolly Mammoth Revival led by Harvard’s George Church are trying to use biotechnology to resurrect the extinct species and repopulate the tundras and forests of Siberia and North America. It works like this: bits of mammoth DNA are edited into the genetic code of its living cousin, the Asian elephant. A hybrid embryo would then be grown in an Asian elephant surrogate mother — or an artificial womb, Church says — to give birth to a new mammoth-elephant animal. Despite claims that the hybrid embryo could be created as soon as next year, the project is far from resurrecting herds of mammoths. It has, however, kicked off a heated debateabout whether de-extinction technology should even be used. Many argue that the money spent to bring back long-gone species should be devoted to preserve the ones that are still around. Others criticize the ethics of resurrecting species whose habitats might be gone and putting surrogate mothers at risk.